There is a significant relationship between the relational models used by customers and the way they respond to organisational interventions and services. 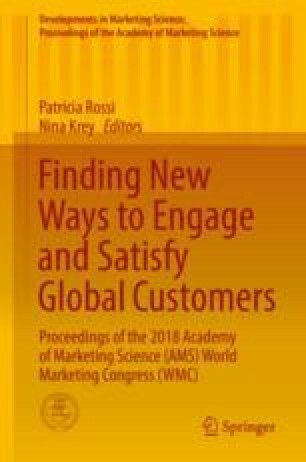 A clear relationship exists between relational models and customer experience in terms of consumption emotions, customer satisfaction, and recommendation intention. It is therefore obvious that organisations that want to improve their customers’ experience should seek tools that allow them to activate or influence relational models. A number of studies already showed that it is possible to activate relationship norms by priming customers with specific words and images. However, all of these studies used fictional relationships between individuals or between organisations and individuals. In our study we investigated the opportunities that organisations have to activate relational models and customer experience by priming existing customers with specific words and images. Our findings demonstrate that it is possible to activate or influence relationship norms among existing customers, but only when the cognitive capacity of the customer is limited and only if the images used fit within the intrinsic motivation of the customer to enter into the relationship with the organisation.